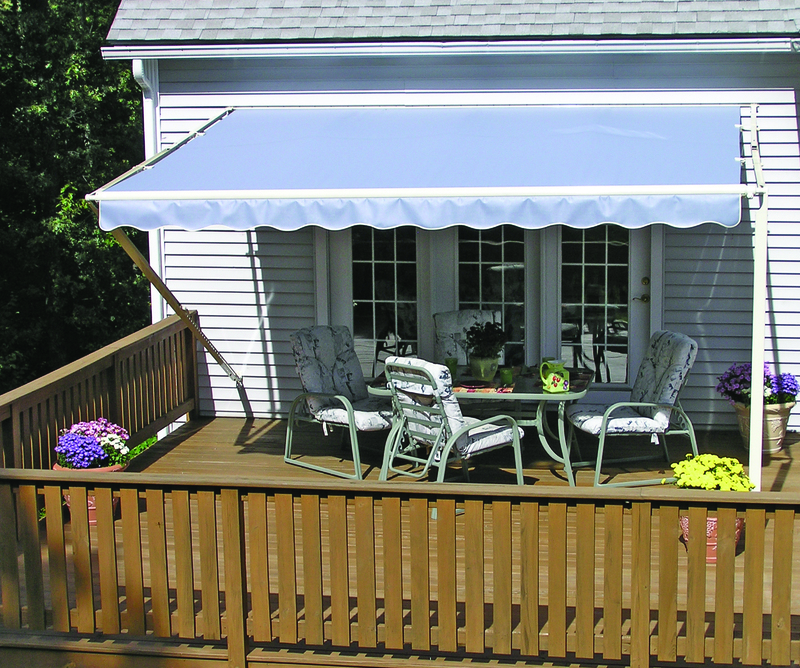 Take a look at some motorized retractable awnings examples for your outdoor living space. 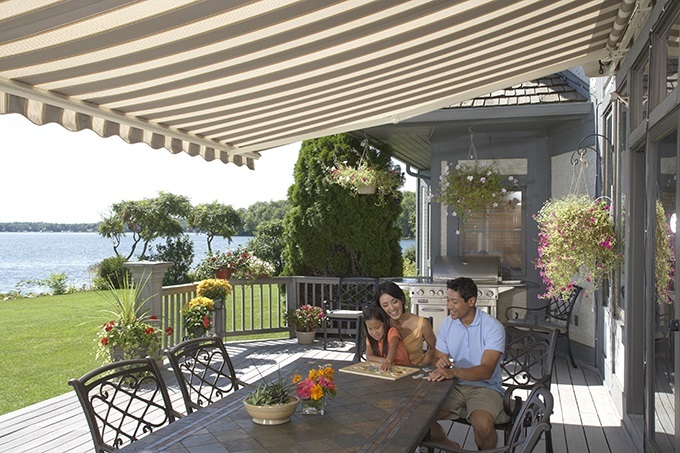 When you work with Galaxy Draperies to purchase SunSetter Awnings, a project manager gets assigned to you. They contact you by phone to find out more about your project. Time for your appointment! 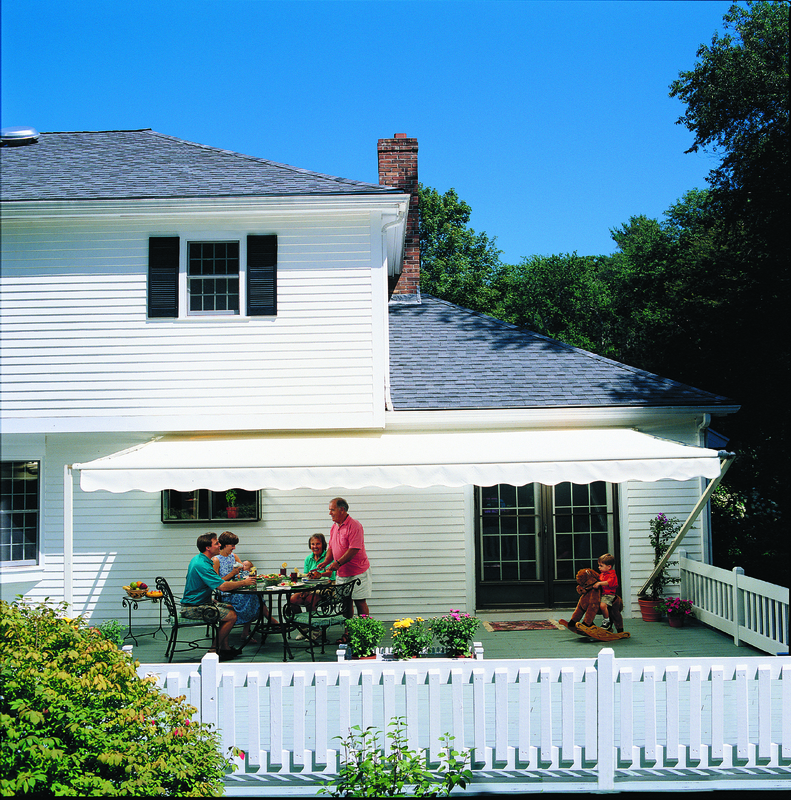 Your awnings specialist arrives with a variety of awning samples, will take detailed measurements, & provide you with an awning quote right away. 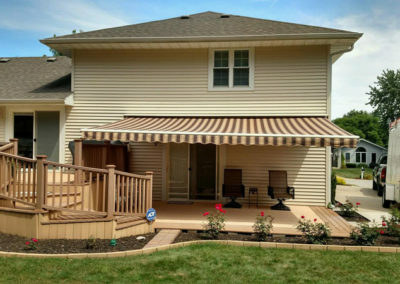 Once your order is placed, we monitor the progress on your Motorized Retractable Awnings to make sure they fit perfectly. During the manufacturing process, we will keep you updated on your order. Finally, it's time for installation! 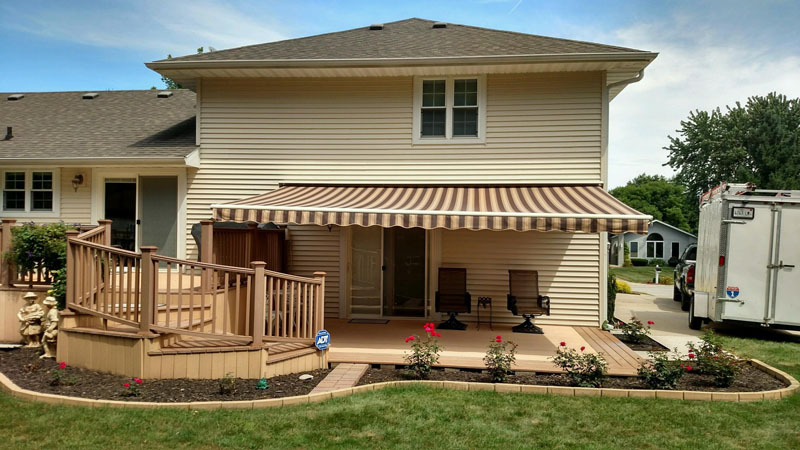 Once your retractable awnings are completed and pass our quality-assurance process, we'll call you to set up installation. After installation, sit back & relax. 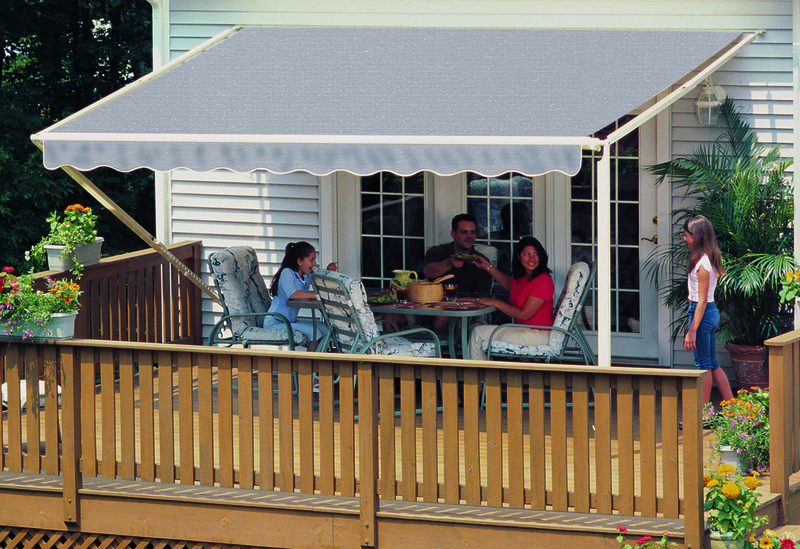 Interested in adding some comfort with motorized, retractable awnings. 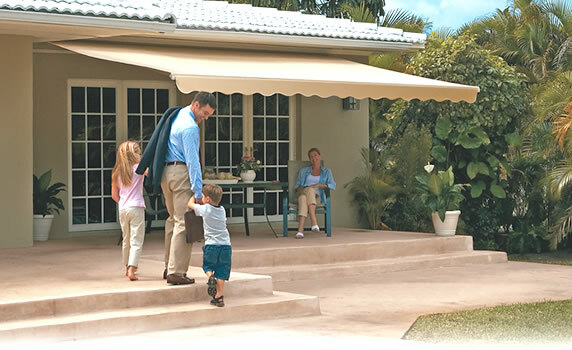 At Galaxy Draperies, we love bringing relaxation and elegance into your outdoor living space with customizable, retractable and motorized awnings for your Los Angeles home. Don’t have a design in mind? No idea where to start? No reason to worry! We’ll help you throughout every step of the design process. Call our professional designers and installation experts to learn about all the awning fabrics available for your project. When you are bringing shade outdoors, it is always important to understand the mood you want to evoke. 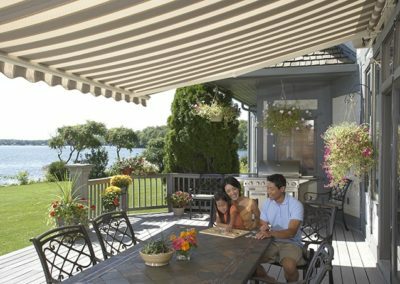 Retractable awnings provide the perfect opportunity to showcase the type of vacation backyard you want to enjoy every day. 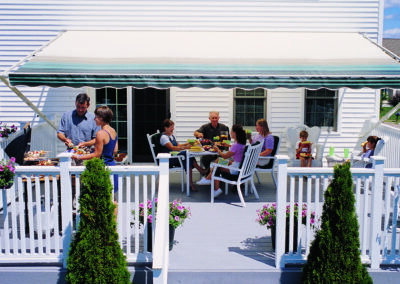 Choosing a SunSetter awning in Los Angeles or Orange County will take the attention of an experienced designer to get it perfect – and we look forward to working with you to add an awning to your deck or patio. 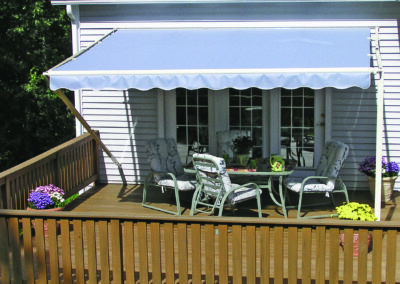 Retractable awnings offer countless design models that will fit your outdoor space and enhance your home’s curb appeal. 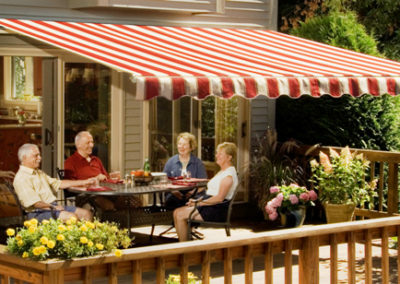 Our outdoor awnings consultants all experience working with awnings and work passionately with you to produce awnings that suit your own outdoor spaces’ unique feel. Throughout the design process, you’ll have access to a number of retractable awnings, allowing you to select from a huge variety to meet your investment range and design style. 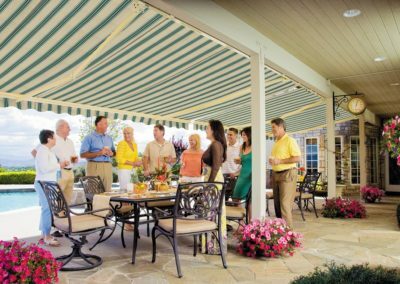 And we partner with the industries best awnings manufacturers in the country, including SunSetter retractable Awnings, to bring you high-quality fabrics and materials guaranteed to be the topic of conversation at the next dinner party. 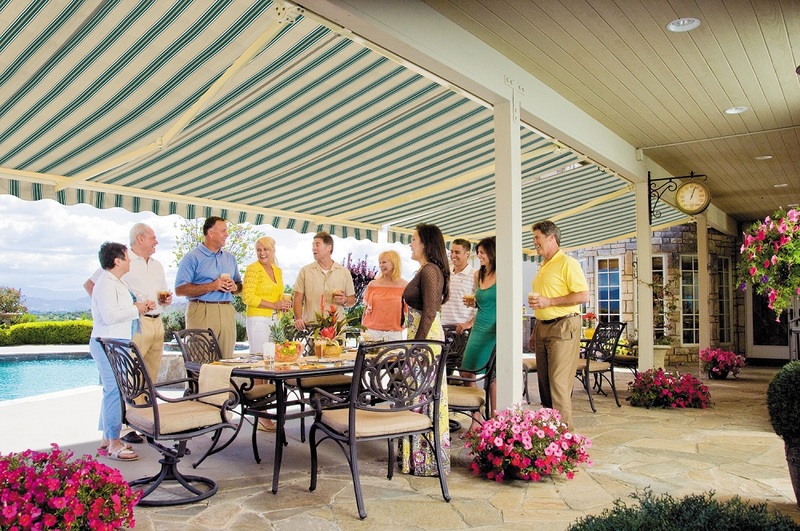 When you work with us, you’ll have complete control over the look and feel of your motorized retractable awnings. Using the variety of control options and fabrics to choose from, you can truly create the awning best to suit your needs and location. Having to choose between weather resistance and style is a thing of the past. We can now design with both in mind! 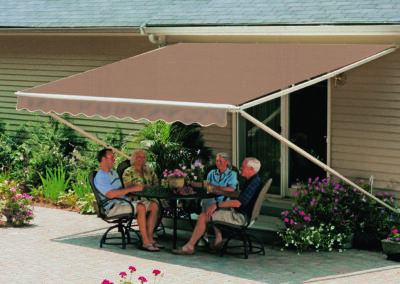 We work with the best retractable awnings dealer in the country, SunSetter. 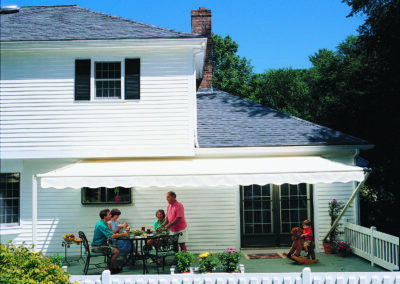 Pure and simple, they have the best selection of high-quality retractable awnings. Fabrics, designs, control options and various sizes are all available in their portfolio of products. 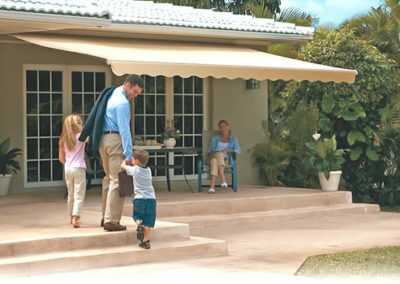 We are excited to be the SunSetter retractable awnings dealer in Los Angeles, CA and Orange County, CA. 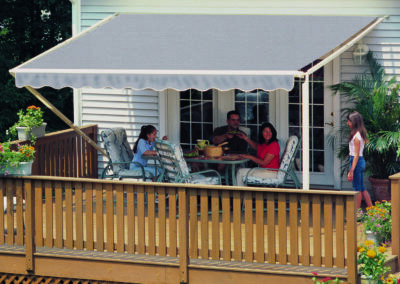 Our awnings built to withstand wind gusts of 55 – 75 mph. Now, just because they have been tested for these weather conditions doesn’t mean they should remain. We recommend retracting your awnings with strong and gusty winds close to these speeds. Most of our models are also designed to be retracted when not in use. Yes! 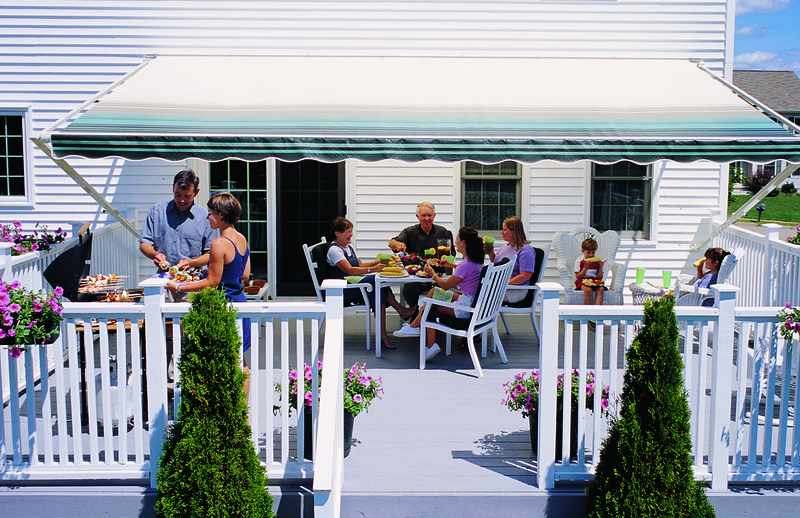 Not only will your patio or deck be 20 degrees cooler, it will absolutely make your home cooler. By blocking the sun from shining through your windows, you can save money on your energy with less air conditioning. It will also help your carpets, flooring, and artwork from fading. When you purchase you do not to purchase your motor separately. Our motorized, motorized XL, and motorized oasis models are all installed with a quiet Somfy electronic motor. In addition, they come with a remote control included and have a manual override feature if necessary.